We invite you to our family-owned and operated restaurant in beautiful downtown Frederick for a delicious, locally-sourced and globally-inspired meal. Our menu caters to all diets including vegan, vegetarian & gluten-free, and offers a number of chicken and seafood options. Everything we serve at The Orchard, including bread, dressings, sauces, and desserts, is homemade using only fresh ingredients. We proudly use many organic ingredients in our cooking and buy produce from a number of local sources. Our menu caters to all diets including vegan, vegetarian & gluten-free, and offers a number of chicken and seafood options. We are known for our whole wheat bread, variety of stir-fries, fresh salads with homemade dressings, and chef-created desserts. Enjoy a craft beer or a glass of organic wine from our changing selection of beer and wine, including draft beer and wine by the glass and bottle. 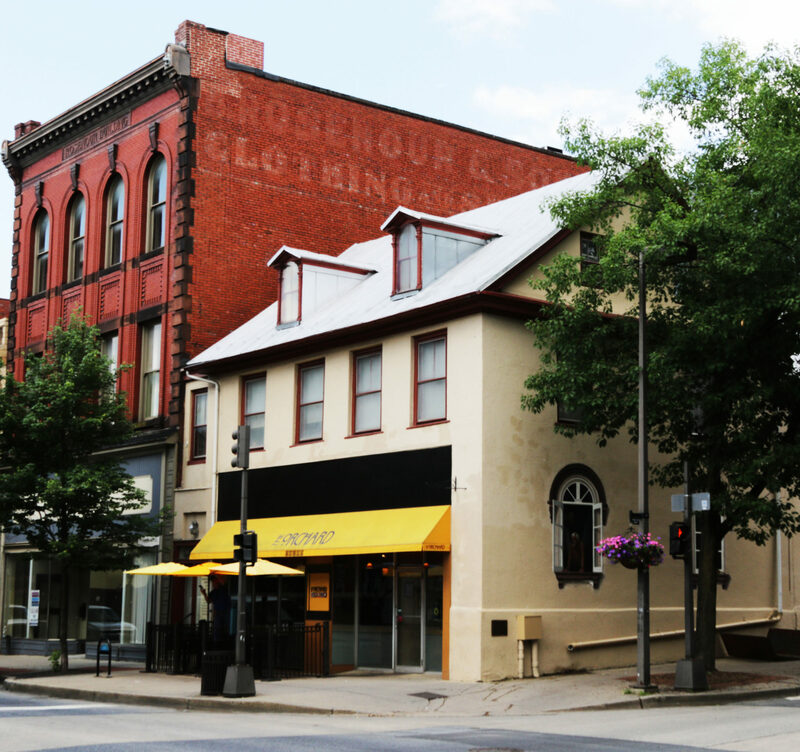 Conveniently located on the corner of Market Street and Church Street in bustling downtown Frederick, The Orchard Restaurant offers delicious, scratch-made meals in comfortable surroundings perfect for a business lunch or dinner with family and friends. Seasonally, you can enjoy fresh food and fresh air in our outdoor seating area right on Market Street, surrounded by the quaint streets and shops of downtown Frederick. Great food with exceptional service! There was hardly any wait time and the prices were definitely worth it. The atmosphere was very calm and cozy. The food was fresh and light, but still very filling. Highly recommended. I love this place! 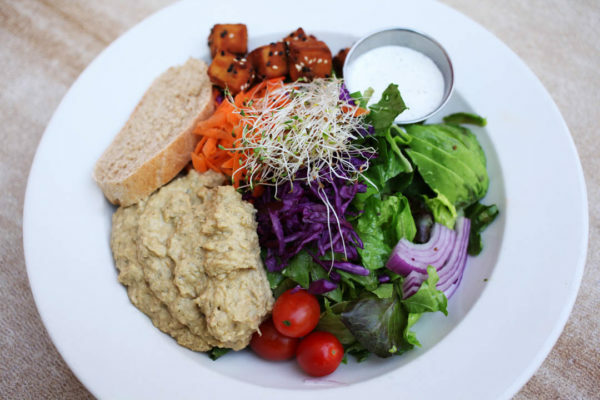 If you have dietary restrictions or just care to eat a delicious and nourishing meal, you must try this restaurant. For the first time since being gluten and dairy free, I had many options from which to choose, including a "legal" dessert! The orchard is hands down my favorite spot to eat in downtown Frederick. As a vegan, they're menu is plentiful with options for my dietary requirements. Don't ask where the protein comes from! Orchard good options always come with a delicious tofu cooked however you like it: savory crunch, or soft and salty! Charming little place in downtown Frederick MD with superb food, relaxed ambience and excellent staff. Staff is very knowledgeable and attentive without crossing the line to annoying. Heartily recommend the scallops as a starter. Very tasty food. My wife has lots of food allergies in addition to have Celiac. The server was patient and knew the menu well enough to make several wonderful suggestions. The atmosphere is nice but casual and quaint charm. Prices are good too. So delicious! Service was quick and our waitress was very nice. The food was so fresh and yummy. I ordered the southwest chicken sandwich and was so pleased. The bread was the best part, it tasted like it was made fresh just for my sandwich! I had such a hard time deciding what to order, everything on the menu looked so delicious. We have been going here for 20+ years. Delicious and healthy food with lots of options. Consistent wait staff who are kind, patient and skilled.